Medicom has just announced/revealed their next upcoming Premium Club release. A true 70’s classic, it’s Real Action Heroes DX Inazuman! Inazuman is finally getting the 1/6 scale premium figure treatment with this release and it really does the premium aspect justice. Sold exclusively through the Medicom Premium Club this figure will retail for a whopping 22,000 yen & be released in June 2015. With a high end figure like this coming along, could we see an S.H. 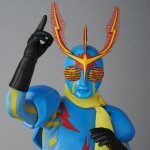 Figuart in the near future? Now this is certainly a strange and interesting piece. 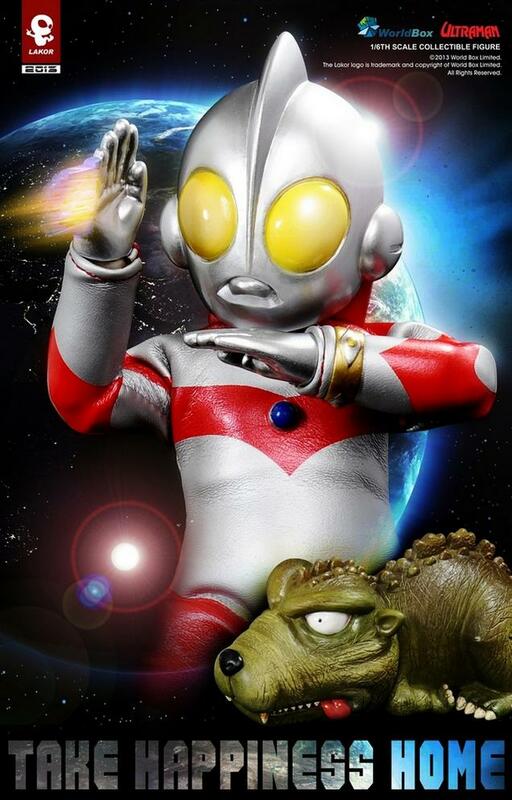 World Box Studios revealed their next entry in the Lakor Baby line and it’s none other then Ultraman. Even more interesting is that the figure will indeed include a Kaiju to fight…and not just any Kaiju but the King himself: a little baby Godzilla as an accessory/companion piece. Standing at 150 mm, other accessories included with this figure are: two swappable hands, two ladles, a bracelet, energy effect parts, a building, and an in scale human figure. Released with the tag line “Take Happiness Home” however, with the release date not officially revealed as of this posting, it is currently unknown when you can take this bundle of happiness home…or for how much. Thanks to Tokunation Member Sideswipe Prime for giving us the heads up!